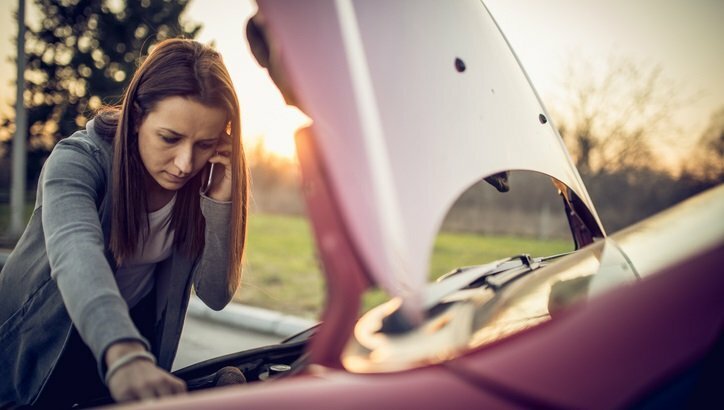 Get in the habit of conducting regular vehicle maintenance and you’ll avoid potentially costly breakdowns as well as extend the life of your car. You can handle basic routine vehicle maintenance yourself, by following a regular schedule as outlined in your owner’s manual. 1. Acquaint yourself with your owner’s manual. Every vehicle has an owner’s manual, a thick book typically squirreled away in the glove box or another storage compartment. If you can’t find your copy, an electronic version could reside online. Otherwise, contact your dealer for a copy. With manual in hand, head to the maintenance schedule section. Take note of the intervals for such maintenance items as the engine oil and filter, tire rotation, belts and hoses, and so on. 2. Change your oil and oil filter. Oil is your engine’s life blood. It serves as a lubricant, keeping important engine parts from grinding against each other and destroying the engine. Motor oil not changed regularly can also damage your engine as accumulated contaminants cause friction, rubbing parts together. 3. Check your tires monthly. The only thing separating your car from the road is its tires. They need to be properly inflated to do their job, as well as to lessen the chance of a blowout. You probably know how to add air to your tires. What you may not know is the correct tire pressure. You’ll find that information on a placard located on the driver’s door jamb or in the owner’s manual. Inflate tires when they are cold (driven less than one mile) to get an accurate reading, otherwise add 4 PSI to the recommended amount, explains Bridgestone Tire. Check your spare tire while you’re at it and confirm all pressures with a tire gauge once the tires have rested. 4. Inspect all other fluids. Motor oil isn’t the only fluid to check. Your car has brake and transmission fluids, coolant, and washer fluid. Like motor oil, you’ll check transmission fluid with a dipstick. Determine brake fluid, coolant, and washer fluid levels by removing related covers and visually inspecting each. By the way, NEVER remove the radiator cap to check coolant — you risk getting scalded. Instead, check that level in the nearby transparent refill container, says CarTalk. 5. Examine belts and hoses. If you want to go one step beyond basic routine vehicle maintenance, then inspect the hoses and belts in the engine bay. These hoses direct coolant flow to ensure the engine doesn’t overheat. If a hose has separated or shows cracks or bulges, then have it replaced. Similarly, check the belts too. The timing belt, as found in most cars and small SUVs, is critical to the operation of your engine, notes YourMechanic. If this belt shows signs of wear, including cracking, glazing, and material loss (chunks missing from the belt itself), then replace it. There are three other areas in vehicle maintenance to stay on top of: wiper blades, the battery, and the air filter. If the windows streak or the blades screech when the system is operating, then replace them. As for the car battery, the main requirement here is to ensure that the battery terminals remain free from corrosion. A wire brush along with a solution of water and baking soda will do the trick. When it comes to the air filter, you may need to replace it once or twice each year. Check the air filter when you change your oil. Now that you know vehicle maintenance 101, you are well on your way to ensuring your car remains in top working condition. My tire blew out -- now what? Car maintenance tips -- guess which ones are costing you money?